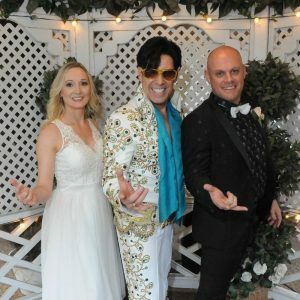 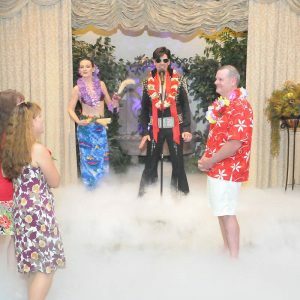 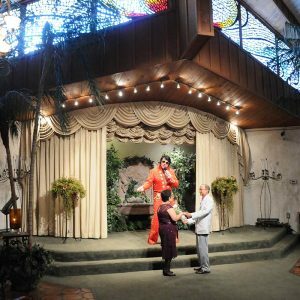 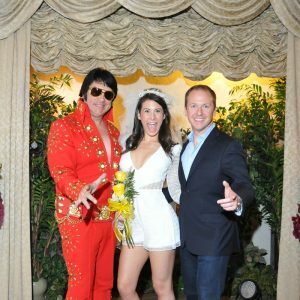 If the two of you are all about Elvis’s music, this wedding package combines a touching exchange of vows with what is very nearly a private concert. Elvis will serenade you with four of his most memorable songs. 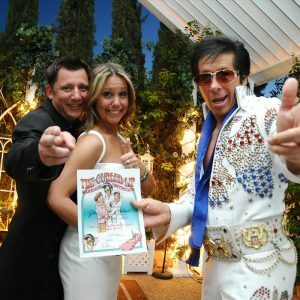 A touching ballad as the bride comes down the aisle, two more iconic tunes as you exchange vows and rings, and, finally, Elvis will be rocking out as you’re dancing in the aisle, once your marriage is sealed with a kiss. 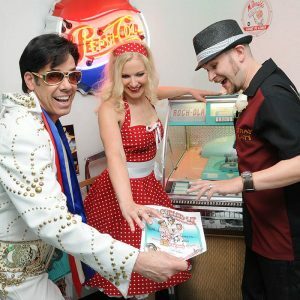 This package also includes many upgrades and extras that you’ll be all shook up about! 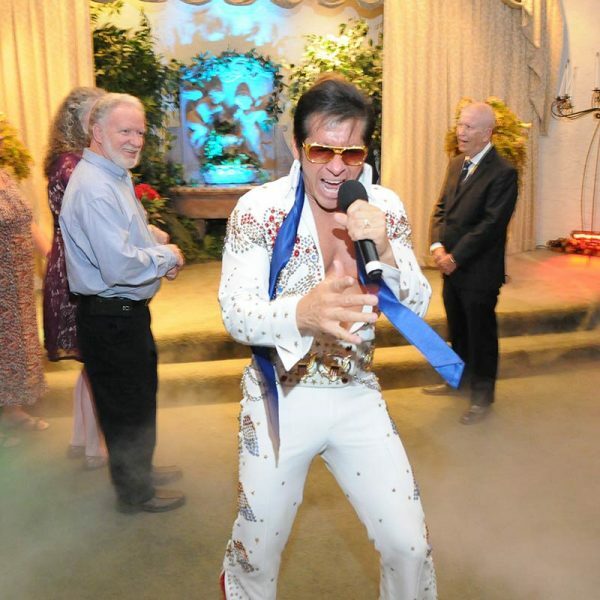 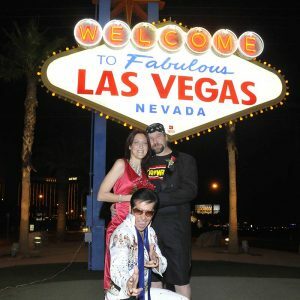 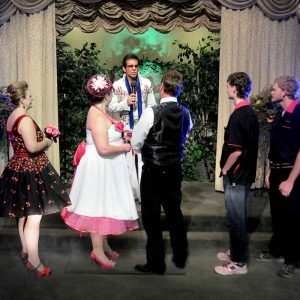 The Elvis In Concert Las Vegas Wedding Package includes: Elvis singing 4 songs and performing the wedding ceremony, use of our Elvis Wedding Chapel, Witness, Candlelit Chapel, 10 candid ceremony 4×6 prints, personal Wedding Coordinator, 5 Rose Bouquet for the Bride, Boutonniere for the Groom, Video of The Ceremony, 2 “Married by The King” T-shirts, Courtesy Limo Service for the Bride and Groom, Names in Lights on the Marquee, Chapel Fee, Free Wedding Website and Wedding Invitation.